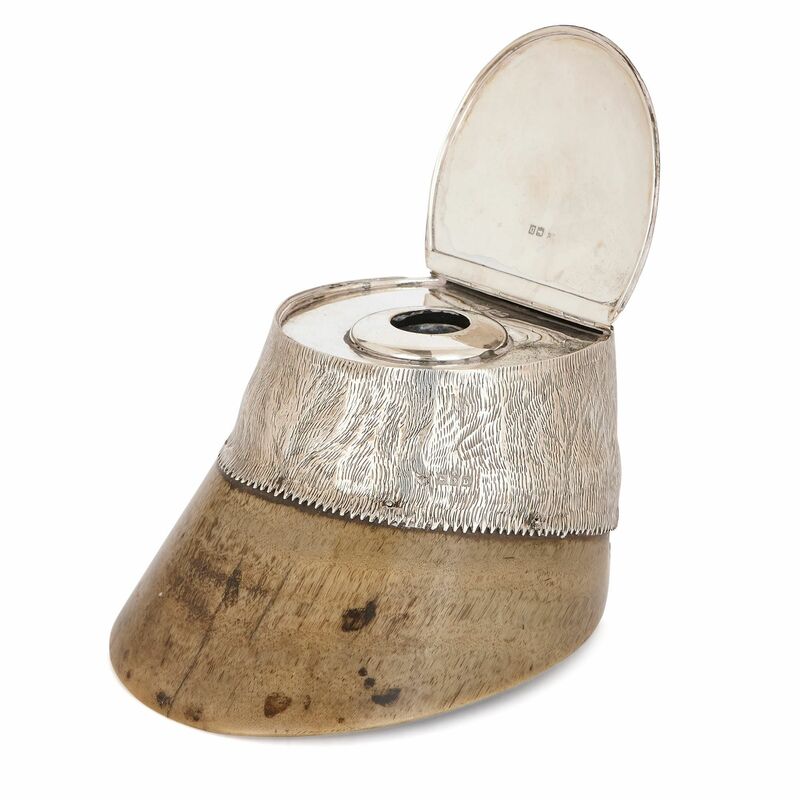 This set of three commemorative silver-mounted horse hoof inkwells will make rare and wonderful additions to a study or a cabinet of curiosities. These three inkwells are unusual in their design, each being composed of a real horse hoof. 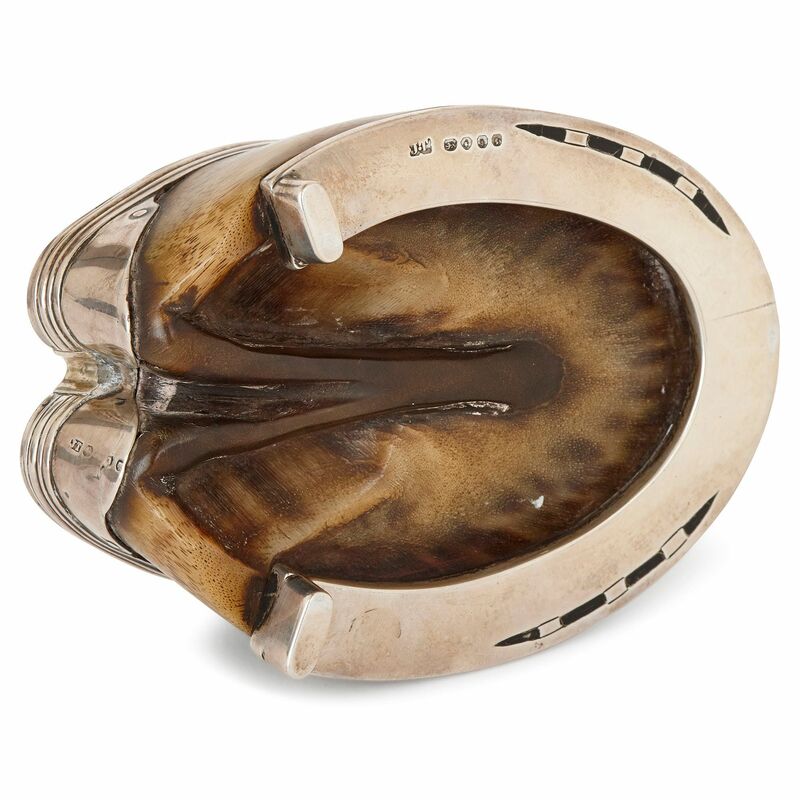 Each hoof has been mounted onto a sterling silver horseshoe, which is stamped with the silver hallmarks. Two of the inkwells have silver tops, which have been incised to imitate the hair of a horse's leg. The third inkwell has a simple, banded top. 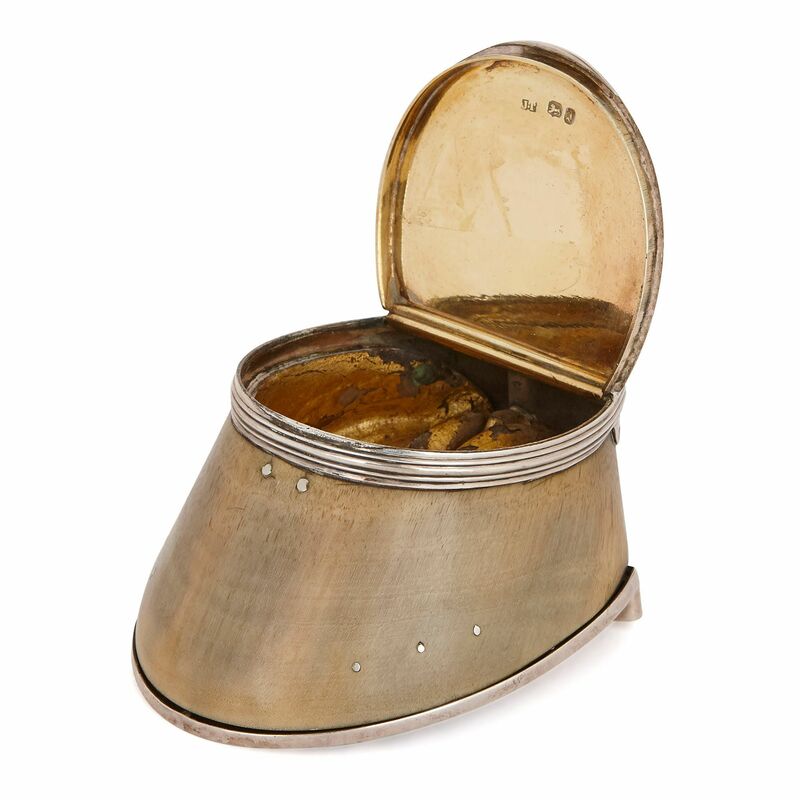 All three pieces have been fitted with hinged lids, which open to reveal a silver-lined interior, with the purpose of storing ink. On two of the pieces, the lids feature commemorative inscriptions. 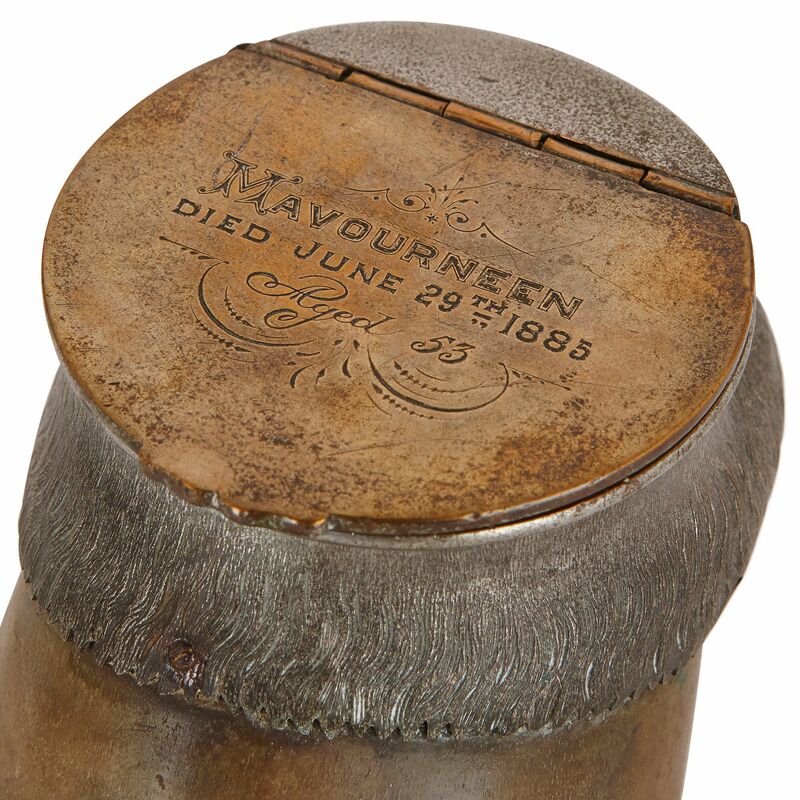 'Mavourneen / Died June 29th 1885 / Aged 53' is written onto one lid, while another is inscribed, 'The Grey / 1907-1917'. 'Mavourneen' is a term of endearment, derived from an Irish Gaelic word meaning 'my beloved'. 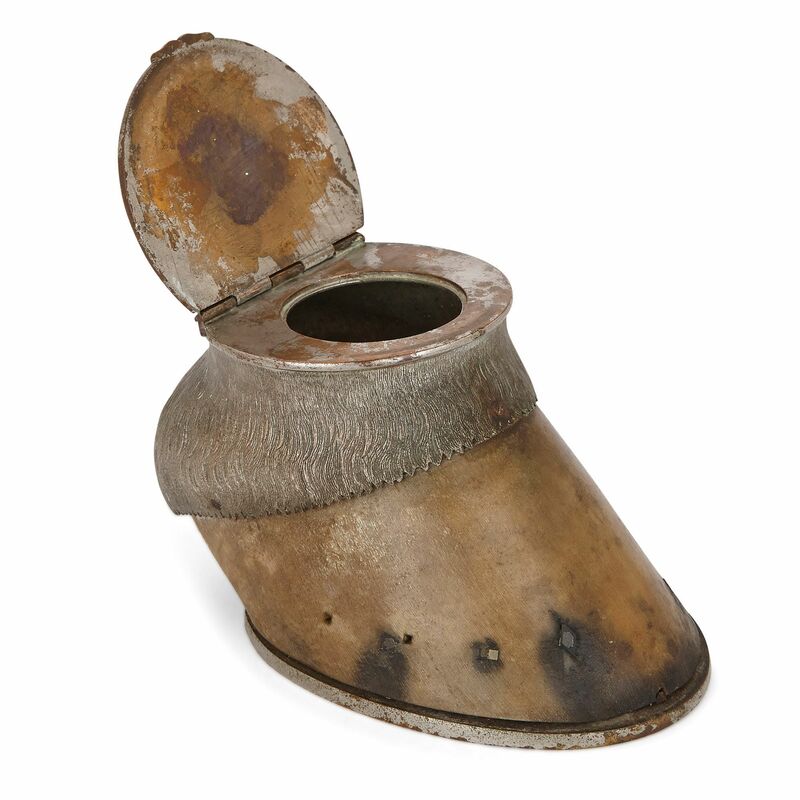 In the Victorian period, it was not unusual to keep the hoof of your favourite race horse after it had died. 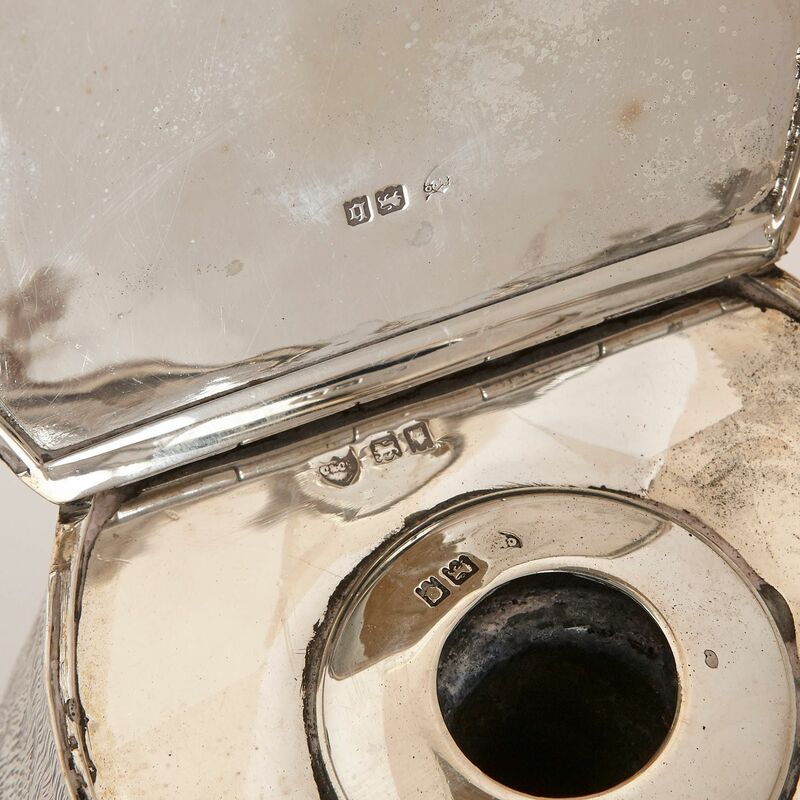 These would then be turned into commemorative objects, which were often given elaborate silver or gold mounts and used as inkwells, snuffboxes, ashtrays, pin-cushions, or keepsakes. 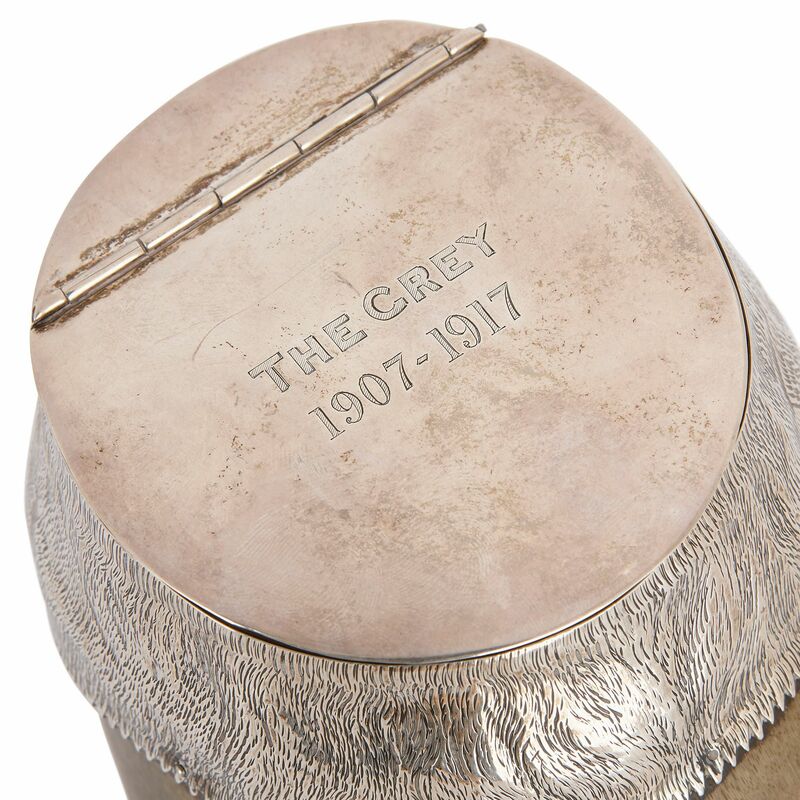 It is likely 'The Grey' was the name of a famous racehorse who died in the early 20th Century. It is less clear who 'Mavourneen' was. The age 53 implies that this was a person, perhaps a jockey, racehorse owner, or an individual somehow associated with horse racing. Horseshoes are also associated with good luck, and may have been welcome additions to a home partly for this reason. This connotation originates from the Christian story of the blacksmith, Dunstan (later, Archbishop of Canterbury), who nails a shoe onto the devil's hoof, causing him great pain. Dunstan refuses to remove the shoe until the devil promises never to enter a home that has a horseshoe above its door. These inkwells may have been valued as talismans, as well as commemorative items. 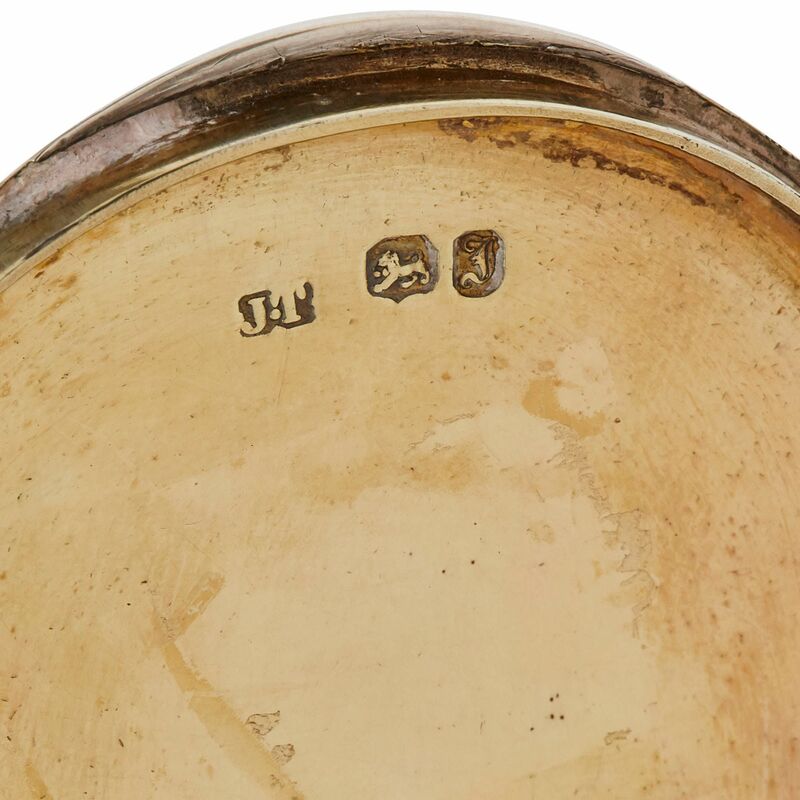 The underside of the three inkwells are stamped with the maker’s marks — ‘J.T.’ for two and ‘C & CS’ for the third — and silver hallmarks.